Southwest Florida is a rich and varied community, home to people of many different faiths, national backgrounds, races, cultures and ethnicities. It’s also home to many lesbian, gay, bisexual and transgender individuals who work in SWFL businesses, contribute to our civic enterprises and care for parents, children, friends and family. We are a group of donors in Southwest Florida working to build philanthropic resources that can help address some of the unique needs of our LGBT (lesbian, gay, bisexual and transgender) friends and neighbors. 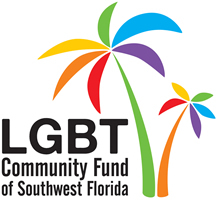 To that end, we have established the LGBT Community Fund at The Southwest Florida Community Foundation, a multi-donor fund.